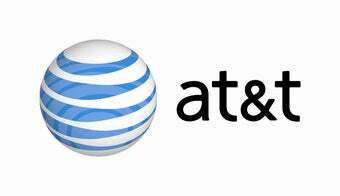 AT&T tells Feds that Gaming is not "Broadband"
The games industry is unhappy that AT&T, in comments filed with the Federal Communications Commission, described real-time online video gaming as an "aspirational service" of broadband communications and not a core need. The dustup comes as the FCC is seeking to define the term "broadband," which isn't just an academic debate. The definition the FCC uses will be part of the National Broadband Plan the agency is writing and, you guessed it, there's money involved with that. About $7 billion in federal stimulus funding, to be exact. For Americans who today have no terrestrial broadband service at all, the pressing concern is not the ability to engage in real-time, two-way gaming, but obtaining meaningful access to the Internet's resources and to reliable email communications and other basic tools that most of the country has come to expect as a given. What AT&T describes as aspirational services are no less important to the future of the Internet than email and web browsing were to the past and are today. Online video games are a meaningful part of our participative culture. They remove geographic barriers, connecting people from across the country and around the world. They teach cooperation, cultivate leadership skills, and empower users to express their creativity. AT&T's comments are not entirely hostile to online gaming; but the company is arguing for a definition that includes "the capabilities needed to support the applications and services Americans must access to participate in the Internet economy." That includes using email, instant messaging, and basic Web surfing. AT&T characterized them as things the public would use "to learn, train for jobs, and work online." The ESA's Doroshow pointed out that video games are used in schools and in employee training. Ars delves into the studies and research showing gaming's place as either a want or a need. The bottom line, the FCC has not made any decision on this definition, and AT&T's influence, substantial though it is, is only in the context of a public comment on a federal study. It's in no position to make the choice itself. But, yeah, it's not nice if your broadband provider tells you that a big reason you're shelling out so much for the service isn't really an important use of it.